MUNICH -- Two years ago, a robot crushed a 22-year-old man to death at a Volkswagen Group factory in Germany after the maintenance worker became trapped in an area usually off-bound to humans. While this type of tragedy is still relatively rare, efforts to improve safety are intensifying as factories around the world become increasingly automated. Now, in a development that's drawn interest from automakers including Volkswagen, entrepreneurs Roman Weitschat and Hannes Hoeppner, working at the German Aerospace Center outside of Munich, say they have designed a way to better safeguard interactions between humans and robots with the aim of allowing them to work more closely. Their newly created company, Cobotect GmbH, is using the decades-old concept of airbags to cushion potentially dangerous automated parts and prevent workers from getting hurt. Increased safety would mean robots could work more efficiently and at a faster pace when near humans, according to the researchers. "A lot of people were complaining about unsafe robots and robot tools," Weitschat said in an interview in his laboratory. Sharp edges on parts handled by robotic arms can pose risks to workers if they are accidentally hit, making it hard to gain approval for the machines to be positioned close to humans, he said. The death in Germany, and a clutch in the U.S., are evidence of the potential dangers posed by industrial automation. While global statistics aren't readily available, a search through the U.S. Department of Labor's website under accidents involving robots is grim reading. 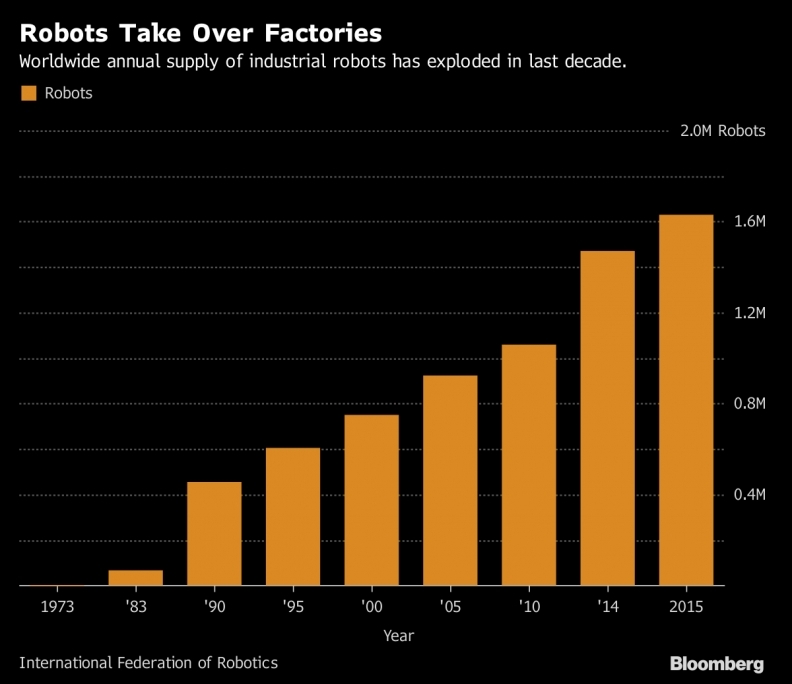 The 38 incidents between 1987 and 2016 include employees amputated, asphyxiated, struck or crushed by robots, including the most recently documented: a fatal accident at a Nissan plant four years ago. Workers at car plants appear to have been particularly at risk since in 1979 another young worker, this time at a Ford Motor plant in Michigan, became the first person thought to have been killed by a robot. The Cobotect team started working in March 2016 on a now-finished prototype. Videos and demonstrations show a robotic arm with a hand-sewn airbag attached to its gripper inflating and deflating. The contraption nudges and then knocks the head of a person, who walks away unharmed. The product won an innovation award from Kuka, a maker of industrial robots, at Germany's largest industrial fair in Hannover. The pair of researchers is trying to find a strategic investor for their company to help fund large-scale production of the airbags. They've had interest for the products, especially from Germany's auto manufacturers, according to Weitschat. Volkswagen is "in contact with Cobotect and is watching their developments for safety," a spokeswoman said. "As soon as usable prototypes are available, we will examine possible applications, although no decision has been made." 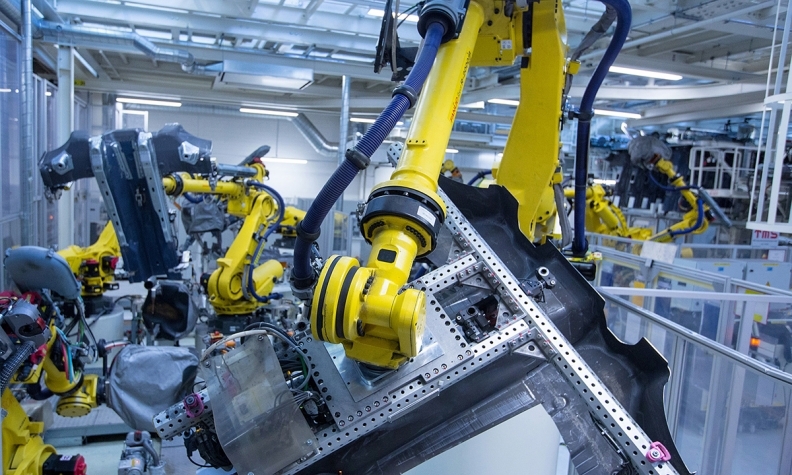 Robot makers Kuka and ABB are investing in safety mechanisms. Solutions so far have focused on camera-based and pressure sensors that can see and recognize people to avoid collisions. Volkswagen says it now has humans working in the same areas as lightweight robots, without being separated by a protective fence. Sensors force the robots to brake when they approach or touch a human. A Kuka video at an Audi plant shows similar safeguards. Other areas of research in Germany include machines to test how hard a robot can hit a human before causing injury. Robots working near humans are usually either walled off or programmed to move slowly -- around 0.1 meters per second -- so they can't hurt a worker in a collision. That speed is considered inefficient for manufacturing, said Weitschat and Hoeppner, adding that with sharp edges protected, robots could move faster -- as much as one meter per second. If the Cobotect airbags get German safety licensing, deploying robots more widely onto factory floors could become a lot easier, Weitschat said. "The robots wouldn't be stuck in one place, walled off with fences, but could be placed here one day, and somewhere else the next," he said. "That's always the problem, that this flexibility isn't there. Industry then goes to other countries where they let people do it for cheap."